his article is reprinted from a January/February 1995 issue of the independent Grand Rapids newspaper, The FUNdamentalist. It is based on a flyer that was handed out during the opening of the Van Andel Public Museum on November 19, 1994. The Van Andel Public Museum, opening today, replaces the Public Museum of Grand Rapids, originally founded in 1854, and located in the same building on Jefferson Avenue since 1940. Since at least 25 years ago some people have pushed for construction of this new building, a push that accelerated in the 1980s, and culminated in today’s opening ceremonies. During the same period, numerous groups of and representing the poorest people in the Grand Rapids area have sought better housing, mass transportation and decent work that would enable them to be self-supporting and more fully a part of the community. In the decade between the 1980 and 1990 census, during which the population in grand Rapids grew at a much faster rate than in any other center city in Michigan, unemployment increased from 6.7% to 7.4%, families in poverty increased from 10% to 13%, home ownership decreased from 63% to 60%, occupied housing units without a phone increased from 5.5% to 6.6%, workers taking public transit declined from 4.4% to 3.5% as funding and service were slashed, while at a time of rising car ownership nationally, the percentage of households in Grand Rapids with no car remained virtually the same, slightly more than one out of seven. Since the last census many of the poor in Grand Rapids can attest that things are getting worse. Sharply increasing violence among young people is only the most visible sign of this continued deterioration. Also, during this period, numerous extremely poor people in Third World countries have struggled desperately to throw off brutal USA-backed repression and to gain a fairer share of the earth’s resources. The USA, through unfair trade and other practices backed by military might, has taken much more than its share of those resources, making possible such projects as this new $39 million museum, and making certain that most people in Third World countries will continue to suffer terrible abuse and poverty. When it was brought to the attention of City leaders that the site of the new museum is on a flood plain and that it could be inundated at virtually any time, they brushed that aside. And several years ago they used City resources to push for a yes vote on a cultural consolidation package that would have included public money for the museum’s construction. A threat of legal action forced them to stop doing so. The proposal was overwhelmingly voted down, by nearly a 3 to 1 margin. But it didn’t matter, the area’s democratic leadership was to find other ways. One of those ways was pressing state representatives for money. Due to intensive lobbying, they succeeded, despite budget cuts elsewhere.For instance, museum funding (and funding for DeVos Hall) agreed to in 1990 “were made possible in large part by an agreement to cut funding for the employment program, the Youth Corps, from $24 million to $18 million. The area’s monopoly corporate newspaper, The Grand Rapids Press, helped. The corporate organ, owned by two multi-billionaire brothers who would make fit company for Jay Van Andel, informed the community how important it is to raise taxes “toward meeting some critical community needs, starting with a new Grand Rapids Museum.” Press editors apparently forgot about a rapidly rising murder rate, homelessness, an extremely high rate of sexual assaults and a host of other serious problems right in its back yard. What if the use of the $39 million had been determined not by a clique dominated by the area’s richest people, but by a coalition representing both the poorest people in the city and oppressed in the Third World? Assuming it was divided half and half, here are two examples of what might have been done. In Grand Rapids there are 5000-plus very low income families, most with less than $5000 a year income, who pay excessive rent, a total of $19.5 million at reasonable mortgage rates, would be sufficient supplement to enable all of them to purchase their own homes, assuming each family obtains a home at the median value (for Grand Rapids) of about $60,000. Once these homes were paid off, these families would be in a much better position to permanently escape poverty. As for the people in the Third World, whose grossly exploited labor supports our profligate consumption, millions die yearly due to lack of adequate health care. According to World Bank estimates, $19.5 million worth of basic public health services would save over $3000 lives. Who Are Jay & Betty Van Andel? 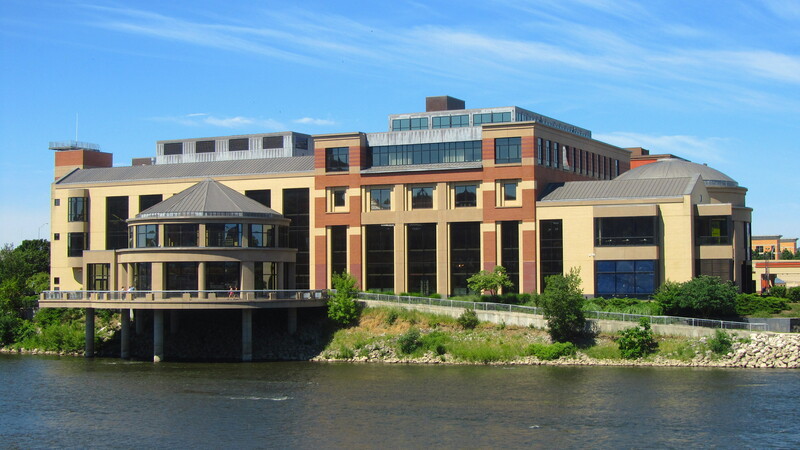 The Grand Rapids City Commission gave the museum its new name because Jay and Betty Van Andel gave $3 million towards its construction and later gave an additional $3 million to its endowment. That $6 million total is little more than one-tenth of one percent of their total $4.5 billion wealth (recently estimated). Betty Van Andel, as far as most Grand Rapidians know (or probably care), is Jay’s wife. Period. Jay Van Andel is a founder and chair of the board of Amway Corp. Amway is a huge multi-national corporation that, according to ex-distributor Steven Butterfield (writing in a 1985 book, Amway: The Cult of Free Enterprise), has systematically resisted efforts at unionization of its salaried employees and has set up a structure for most of its workforce that assure high profits for a select 1-2% while the other 98-99% “are not, nor can they ever be, at a level where they make enough to replace the income of a single wage-earner in the family.” Amway has falsely advertised this scheme as providing more opportunity than it really does and thus draws in many unsuspecting people. It operates much like chain letters, which, for good reason, are illegal. Amway’s clout has apparently been sufficient to prevent most legal sanctions against its version of that old scam, though the Federal Trade Commission found the company guilty of price fixing in 1979 and ordered it to stop misrepresenting potential earnings to new salespeople. Van Andel’s politics include support of various anti-labor organizations and opposition to the Comprehensive Employment and Training Act (Amway thrives on the desperation of recession and unemployment), the Consumer Protection Agency and various other entities and policies that benefit the public at large. Van Andel was one of the four top Amway people who denied guilt at first, then in the face of the evidence pled guilty in the early 1980s to criminal charges of having defrauded the Canadian government of some $148 million starting in the mid 1960s. A tipster in the case was threatened and at one point reportedly beaten. Amway paid a $25 million fine and later worked out a deal in which it paid only $38 million to settle the civil case. Thus, this fraud, the largest in the history of Canada, produced an estimated net revenue to Amway of $85 million. Jay, who as board chairperson oversaw the operations that produced that fraud, never served a single day in jail. Jay, along with Amway partner Rich DeVos, has used the company’s clout to help elect reactionary politicians, Ronald Reagan for instance, to office. At times, government has directly supported these efforts. In addition, Amway has been able to write off many of its rallies, in which such politicians have been supported, as tax-deductible business expenses. 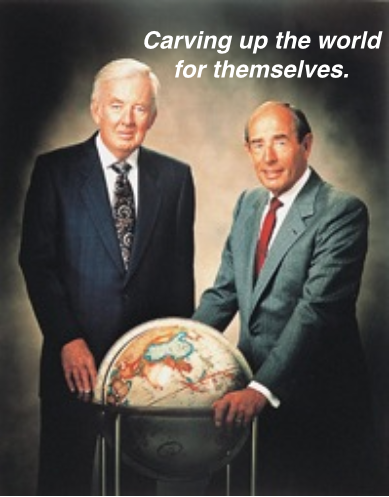 These politicians have, in turn, supported the gross materialism that is one of Amway’s hallmarks. Amway, which aggressively touts itself as a green company, is known in at least one case to have been forced to pay to help clean up one of the nation’s worst toxic waste dumps, to which it contributed. Given its mission to sell as many (expensive and mostly unnecessary) goods around the world as possible, this must be considered no more than the tip of an iceberg. Amway’s selfishness has taken precedence over some of its supposed friends at times. For instance, Amway repeatedly donated food to Nicaraguan terrorists (known as the Contras) in the 1980s. Much of that food turned out to be extremely outdated, stale, in some cases rancid or buggy. Amway claimed tax write-offs at grossly inflated prices for this supposed selfless generosity. If the total wealth that Jay and his partner Rich have amassed were put in an account that paid 7% interest, it would be enough to bring every household in Grand Rapids out of poverty….forever. Or if it were distributed to a million of the poorest families in nations exploited by policies supported by these two, it could literally save the lives of over a million innocent children who would otherwise die of starvation or disease. Think of the terrible anguish suffered by so many parents that could be averted by such a redistribution of this stolen wealth! This entry was posted in Anti-Capitalism/Labor, Indy Media and tagged Amway fraud, Jay Van Andel, Van Andel Museum. Bookmark the permalink.